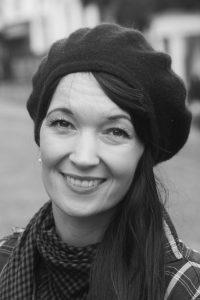 Hello everyone, and thanks for having me, Jenny! How is this usually busy season treating you all? You are very welcome. The Christmas is chaos as usual hun – but good chaos! It’s surely a very different December for me compared to two years ago when we moved to into a quirky house from the 1950’s. My daughter, who was only two years old at the time, was fascinated with the “secret cupboard” in her nursery. It didn’t matter how often my husband tried to explain to her that this small door in the wall was only for pipes or storage. She was convinced that there was a whole world inside the cupboard and it would lead somewhere beyond the darkness. Just after we had moved in, my daughter got very poorly and ended up in hospital. It was a dark, windy night with a full moon, when we were lying in her hospital bed, looked out of the window and I told her the story of a little girl who moved house and discovered a secret cupboard in the wall. Inside there was a glittery tunnel that led to her old bedroom, where everything was safe and warm. 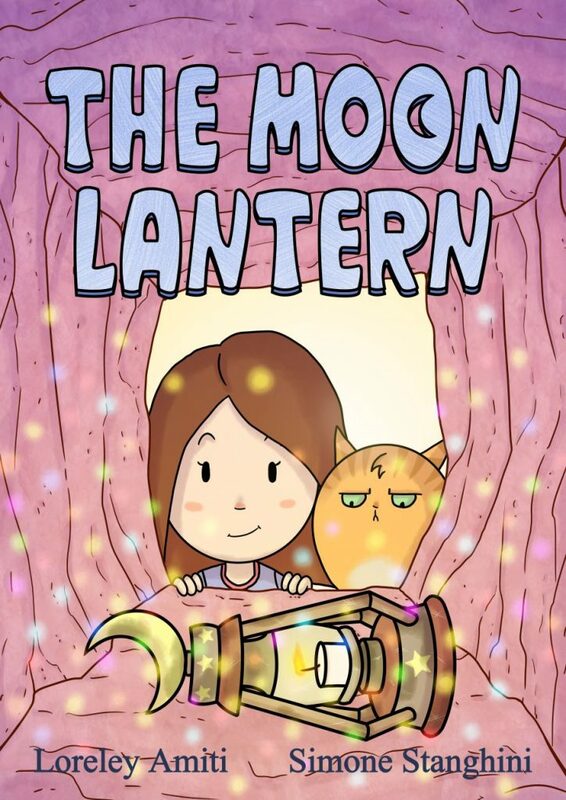 It was the first draft of my children’s book “The Moon Lantern” – long before I even thought about publishing it one day. The story has changed a little since. 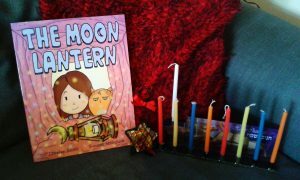 The little girl in the book moves house on the first night of Chanukah, the Jewish Festival of Lights. I felt the story needed more light and Chanukah is very festive in our house. In addition, every illustration is being photobombed by a hilariously grumpy cat, which isn’t impressed with anything at all. This story has certainly brought a bit more magic into our house and I hope it will do the same for my youngest readers. As a special festive gift to you, I’m giving away signed copies for only £7, including postage (UK only, 2nd class). Only until the 10th December (or until I run out of stock). Whatever you’re celebrating or if you’re simply enjoying the many festive lights, I hope you have a truly magical season! If you would like one of these beautiful books signed, and discounted, (and you live in the UK) then please leave a comment below with your email address. What a fantastic offer. I’ve read this lovely book- it’s beautiful.